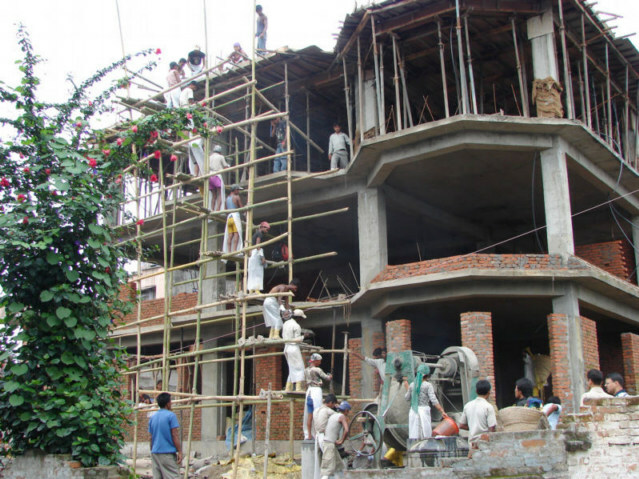 There is a very large home being built near the Hotel, it is for a banker here in Katmandu. They poured concrete on the third floor of the building the other day. 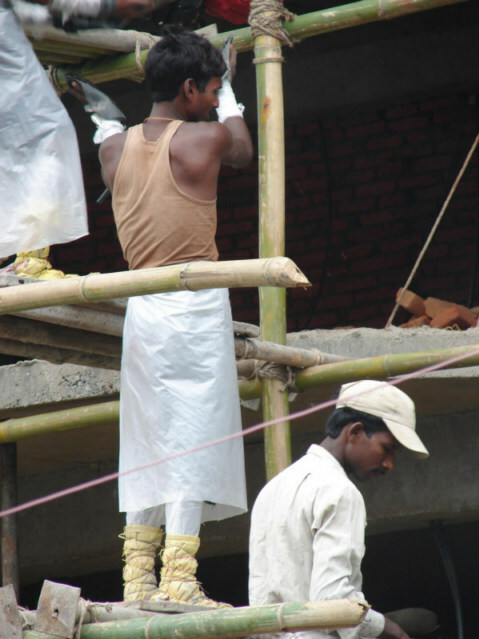 The Nepal workers constructed a bamboo scaffolds with standing positions on each leave. The bamboo was tied together this rope. 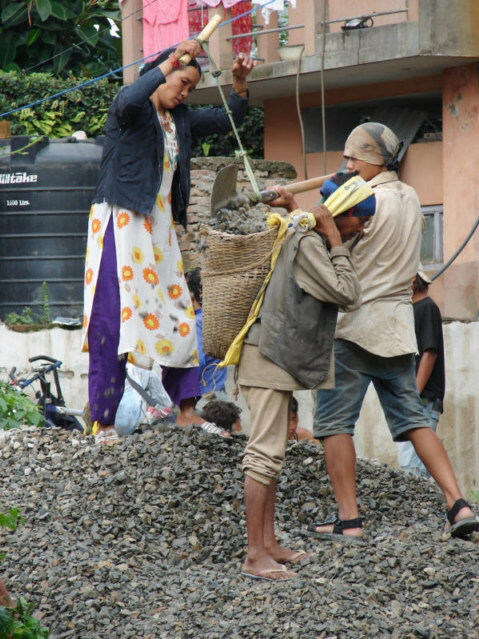 There are various ingredients in concrete; this boy is carrying from a pile of sand to the hopper. This girl is using a rope to help pull up the heavy shovel. This group is carrying the larger rocks to the concrete mixer. This woman is adding water, and someone is adding cement. 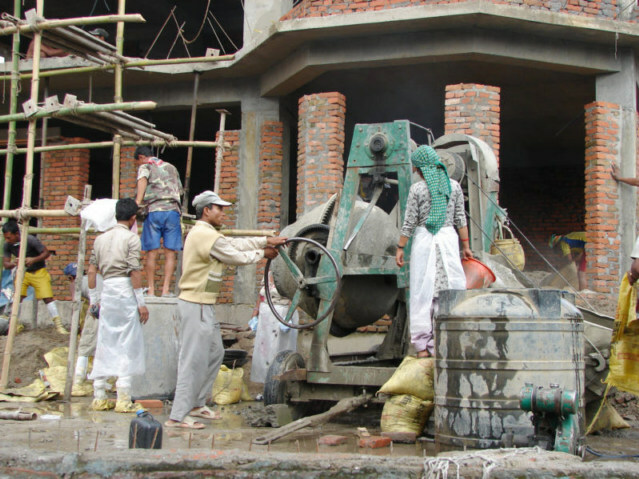 The concrete mixer is somewhat of a luxury in the world, as normal small jobs would use shovels to mix. 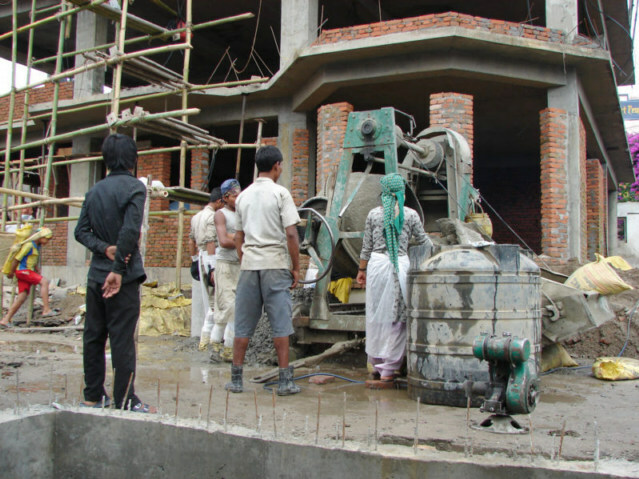 After the concrete is mixed, it is transferred to a hopper and loaded into large steel pans that look like an Asia cooking pan. The throw groups of these pans down to the right of this photo into a big pile of sand. A deltoid crushing job and these boys are quickly handing one pan up after another. They are wearing plastic to protect themselves from concrete burns; I believe the calcium in the concrete burns.